Garden Buildings Direct - If you love being outdoors and firing up the barbecue grill on a sunny day, make sure you’ve got the perfect barbecue whether you prefer a modern, easy-to-use gas BBQ or a traditional coal BBQ, small or large we’ve got it covered. Cook up a feast on a great all rounder bbq . 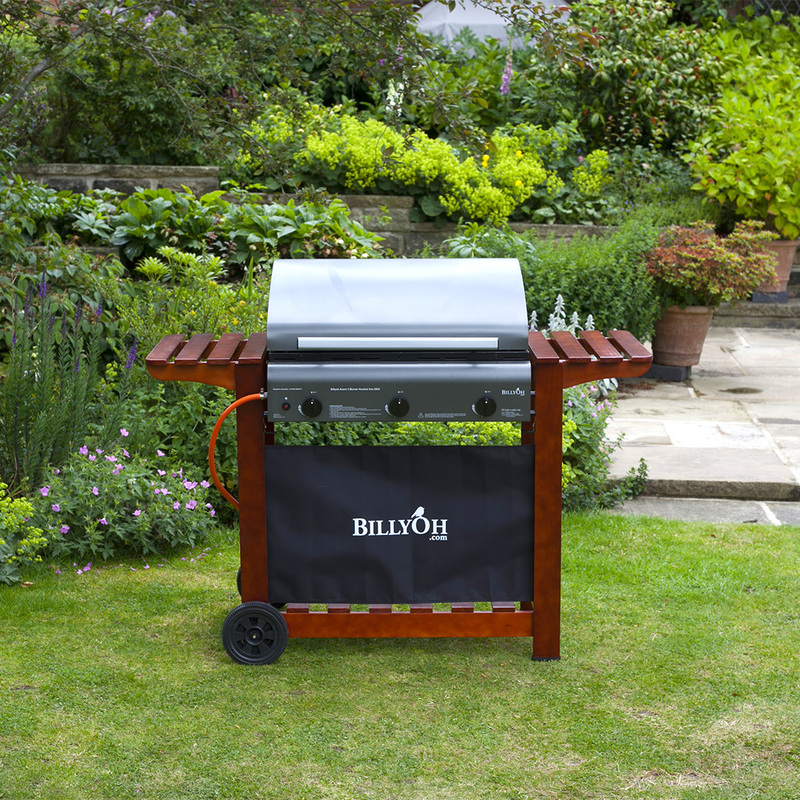 Every garden needs a bbq, and every summer needs at least one memorable garden party, so why not make your party memorable with the billyoh garden grill 2 burner gas bbq. 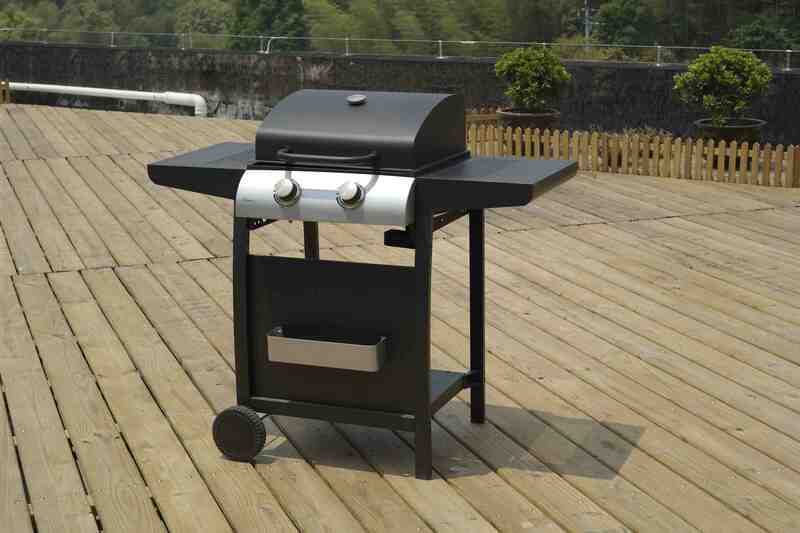 This bbq is great for the beginner barbeque cook, it s packed with a huge range of features to make your life easier. This bbq features a porcelain enamel coated roasting hood which offers you great flexibility for your cooking style. A hood bbq will allow for more room and also allows you to roast your food as well as cook it in the traditional bbq manner. Porcelain enamel makes for a fantastic material as it protects the steel part of the hood from rust but is also easy to clean and conducts heat evenly. The integrated temperature gauge also means you can monitor the temperature without lifting the lid and lose valuable heat. Room for everything . One of the many problems when hosting a barbeque is the fact there s never a place to put your cooking utensils. 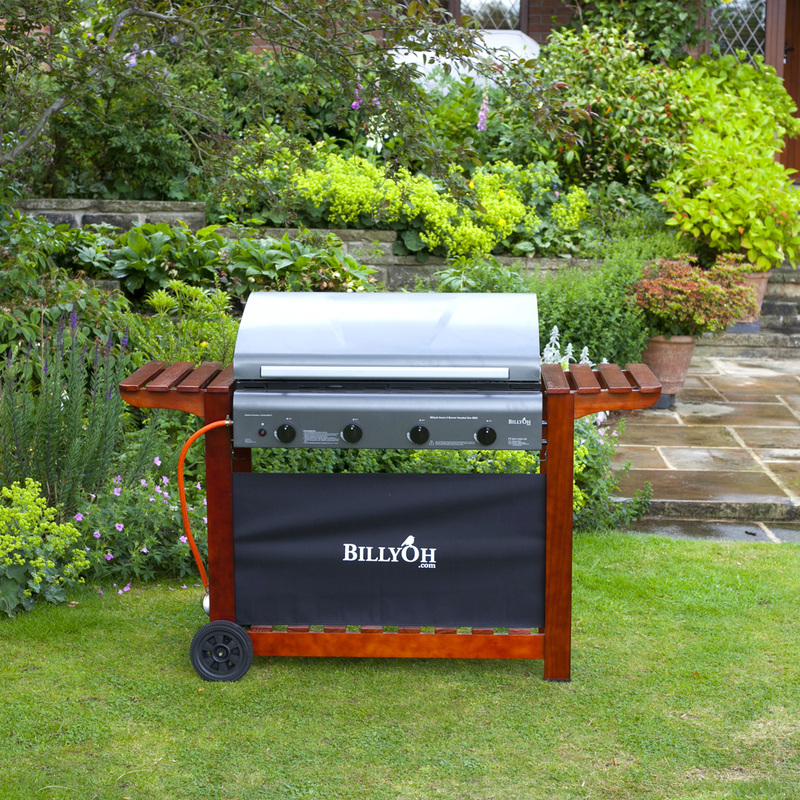 The billyoh garden grill 2 burner gas bbq features two side shelves which ensures plenty of space for your cooking utensils and your favourite condiments. With everything within reach you ll find cooking on this bbq a dream. The shelf beneath the bbq is strong and wide enough to support your gas bottle of choice. The shelf is low and open for easy access so you can always be able to turn off the gas when you need to. The whole bbq is constructed from a lightweight but sturdy metal frame, this ensure you won t struggle to move the whole bbq around. Everything you need to get the party going . 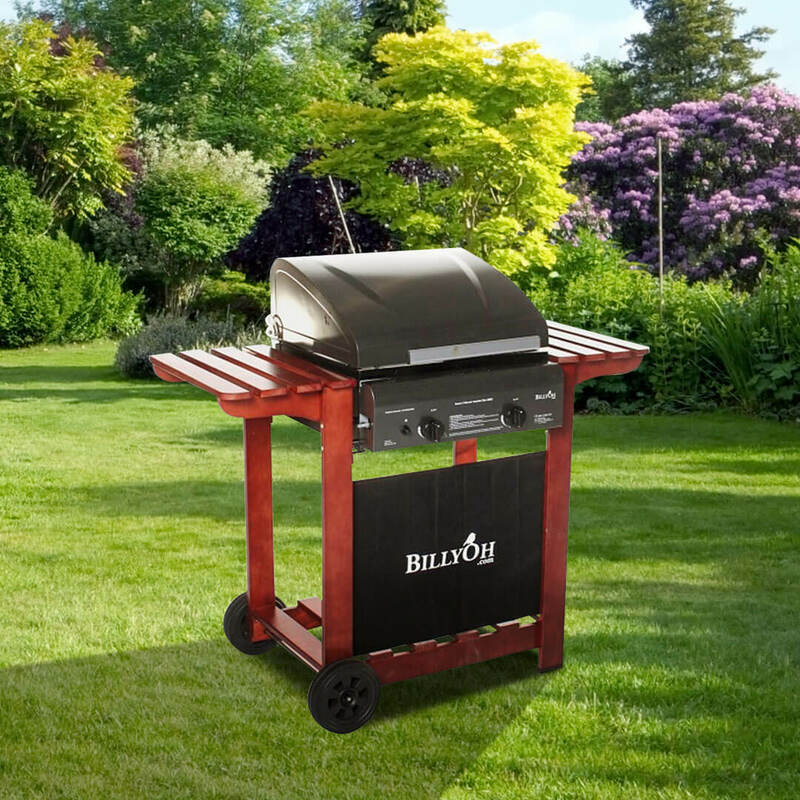 This bbq is packed with all of the features you need to make your bbq a roaring success. The bbq features a great wire cooking grill so your food will cook to perfection. Two burners ensure even temperature control, you won t find it hard to handle this grill, you can ideally cater for around 4 adults with 2 burners. This bbq also comes with a hose and regulator for your bottled gas so you don t have to worry about any gas leaks. The two chrome finished dials also ensure you can control the temperature to exactly what you need so your food is perfectly cooked every time.